OK, not really, but a girl can dream right? We had a fabulous time in Maui. 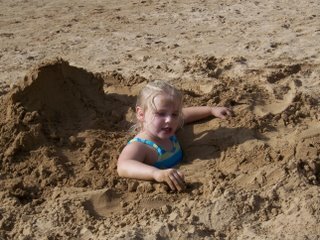 We stayed in Kihei and the girls loved every minute of the trip. 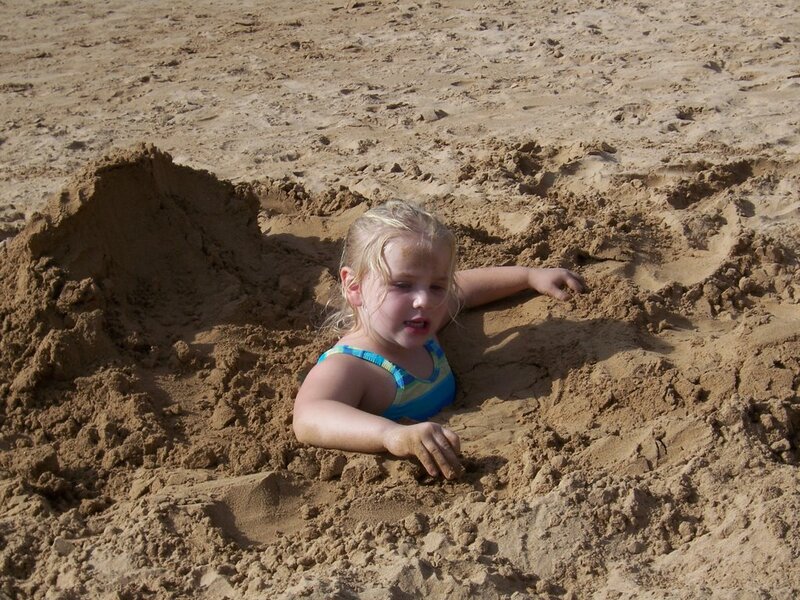 They played in the sand, played in the sand and played in the sand some more. They both loved the ocean!!! We had dinner at Sarento’s one night to celebrate my parent’s 40th anniversary. The food was sumptuous and the sunset was beautiful. Ahhhhh, I said I was moving there right? Hayden especially loved the Maui Ocean Center. 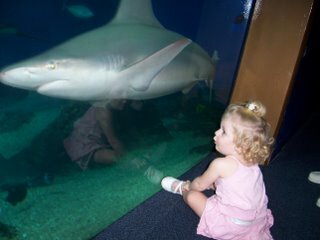 Her new favorite word is turtle... but she really enjoyed watching the sharks. The vacation almost had a very bad start… the day before we left we had to put our 14-year-old dog, Darlin, to sleep. It was devastating. But as always, there is a silver lining and that is at least she didn’t die while we were on vacation. I think about her everyday and find myself not sure how to answer Dylan’s questions about death. Any suggestions? I'm so sorry Kathy. I know Darlin was such a big part of your lives. I can't believe how fast 14 years go. I remember when Mike got her. As far as talking about death with kids, I've read that answereing their questions simply and plainly is best. They won't understand deep philosophical discourse, but they need to have their questions acknowledged and their fears eased. ((((hugs)))) I'm so sorry about Darlin. Congrats to your parents...that's something to be proud of. What a fantastic trip! We took Baby G. to the Shedd Aquarium in Chicago over the summer and she was obsessed with the turtles and fish. Your kids must have loved it! So sorry to hear about your dog. We had to put my dog to sleep last summer. My seven year old niece absolutely loved my dog and my brother had to tell her that Madison went to doggy heaven. She looked at him and hugged him and then said, "You know, it was just a dog..." Kids!